Scheda: Nazione: Italia - Produzione: Galatea Film, Jolly Film - Distribuzione: Unidis, American International Pictures, Luminous Film & Video Works, Sinister Cinema, Something Weird Video - Soggetto: ispirato al racconto Il vij di Nikolaj V. Gogol' - Sceneggiatura: Mario Bava, Marcello Coscia, Ennio De Concini, Mario Serandrei - Fotografia: Mario Bava - Montaggio: Mario Serandrei - Scenografia: Giorgio Giovannini - Musiche: Roberto Nicolosi (versione USA: Les Baxter) - Formato: Panoramica B.N. - Durata: 80' (87'). 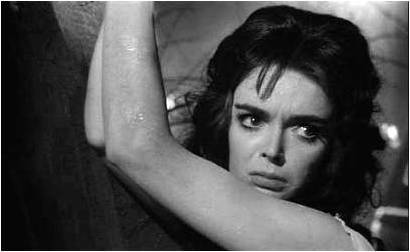 Cast: Barbara Steele, John Richardson, Andrea Checchi, Ivo Garrani, Arturo Dominici, Enrico Olivieri, Antonio Pierfederici, Tino Bianchi, Clara Bindi, Mario Passante, Renato Terra, Germana Dominici. 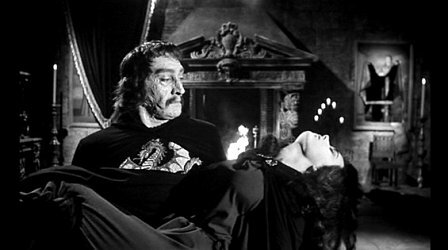 Trama e commenti: cinematografo.it - kataweb.it - mymovies.it - freudstein - italica.rai.it - alexvisani.com : «...Mario Bava è insieme, e più, di Freda, almeno per quel che concerne il valore dei film, l'inventore del cinema horror gotico italiano. 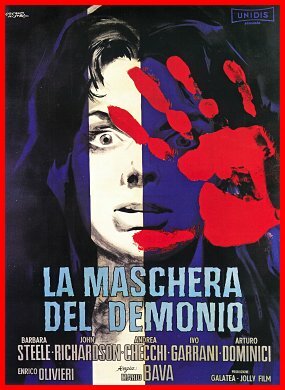 ... E proprio La Maschera del Demonio, anno 1960, è precursore dei tempi. Ambientato nell'800 vede due dottori in viaggio verso Mosca imbattersi in una caverna nella quale è contenuta la cripta di una strega con indosso una maschera...». 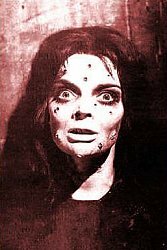 Plot Summary, Synopsis, Review: IMDb - entertainment.msn.com - tvguide.com - eofftv.com - allmovie.com: «Generally considered to be the foremost example of Italian Gothic horror, this darkly atmospheric black-and-white chiller put director Mario Bava on the international map and made the bewitching Barbara Steele a star. 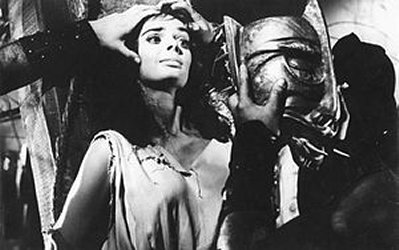 Steele plays Princess Asa, a high priestess of Satan who is gruesomely executed in 1600s Moldavia by having a spiked mask hammered into her face. Before she dies, Asa vows revenge on the family who killed her and returns from the grave two centuries later to keep her promise. In a striking resurrection scene replete with bats, scorpions and fog, Asa rises from the tomb to claim her bloody vengeance. 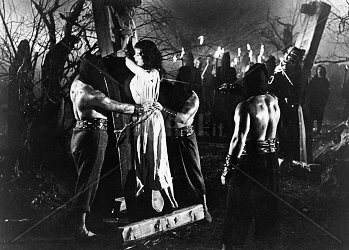 With vampires, bubbling flesh, dank crypts, undead servants and torch-bearing mobs, the plot is a little ripe, but the visuals are Bava's primary consideration. 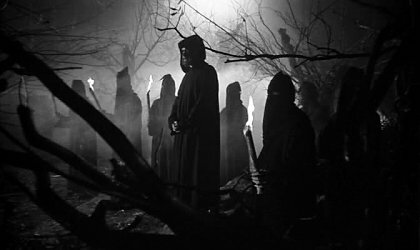 The atmosphere is so heavy and the imagery so dense that the film becomes nearly too rich in texture, but the sheer, ghastly beauty of it all is entrancing. 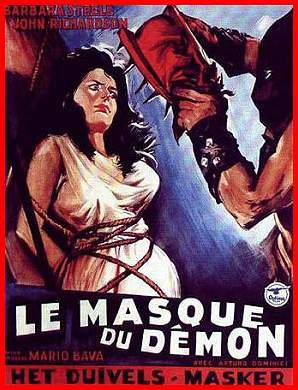 Although this was only the second of Bava's twenty-six films as director, it is undoubtedly his best and the one upon which most of his considerable reputation rests» (Robert Firsching). 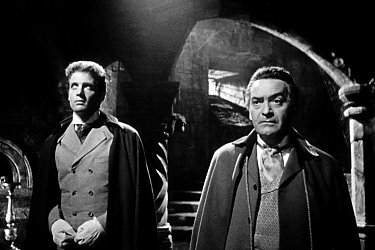 Conosciuto anche con i titoli: Black Sunday; The Demon's Mask; The Hour When Dracula Comes; House of Fright; The Mask of Satan; Mask of the Demon; Revenge of the Vampire; A Maldicao do Demonio; La Mascara del Demonio; Le Masque du Demon; Die Stunde wenn Dracula Kommt. Film d'"atmosfera" nedievale. 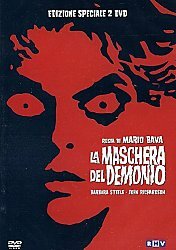 Nel 1989 Lamberto Bava, figlio di Mario, ha girato il remake La maschera del demonio.